Saudi Arabia has more leverage over America than the U.S. government is prepared to admit. This uncomfortable truth emerged from the shadows in April. Congress was considering a bill that would allow U.S. victims of the 9/11 terrorist attacks to file lawsuits against the Saudi royal family and Saudi institutions. Many have long suspected Saudi connections to the attacks. The bill itself would not assign blame. But the possibility of 9/11-based lawsuits did not sit well with Saudi Arabia. 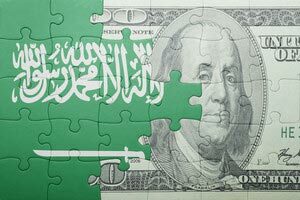 According to The New York Times, Saudi Foreign Minister Adel al-Jubeir personally told members of Congress that the kingdom would sell as much as $750 billion in U.S. assets – including billions held in U.S. Treasuries – if the bill were to become law. While such an action certainly could not bring the United States to its knees, the mass selling of Treasuries and other assets would roil the markets, causing billions in losses. Most experts dismissed the threat, noting that the Saudis risked causing more harm to their own economy than the U.S. economy. But CNN reported that the Saudis are concerned that a wave of 9/11-related lawsuits would put their U.S. assets at risk anyway. Threatening to sell them, then, is both leverage and an insurance policy. With oil prices low, the Saudis also need to raise cash to pay its bills; over the past year Saudi Arabia has sold $111 billion of its foreign reserves. Beyond that, the governments of the Middle East, particularly an absolute monarchy like Saudi Arabia, are notoriously unpredictable. The Saudi royal family may feel cultural pressure to "stand up" to a perceived insult from the United States. "This is not an empty threat," said Money Morning Global Energy Strategist Dr. Kent Moors. "Saudi royal leadership, especially King Salman and his son Mohammad, will not allow an attack on the reputation of the House of Saud or of the state." Despite the Saudi threat, the Senate passed the bill (known as Justice Against Sponsors of Terrorism Act) by unanimous consent on May 17. If the House also passes it, the bill will go to President Barack Obama, who has vowed to veto it. Whether the Saudi threat has influenced President Obama's opposition is unclear, but The New York Times noted that the threats had been "the subject of intense discussions in recent weeks between lawmakers and officials from the State Department and the Pentagon." One question that's proven devilishly difficult to answer is the exact size of Saudi Arabia's portfolio of U.S. assets. In response to a request from Bloomberg, the U.S. government disclosed for the first time last month that Saudi Arabia holds $117 billion in U.S. debt. Back in 1974, in the wake of the OPEC oil embargo that caused oil prices to quadruple, President Richard Nixon sent Treasury Secretary William Simon to negotiate in secret with the Saudis. The idea was for the U.S. to buy Saudi oil, with the Saudis recycling those dollars back to the United States via the purchase of Treasuries. The U.S. also agreed to let the Saudis use some of those petrodollars to buy weapons. The Saudis got a major customer for its oil and a reliable arms supplier. Meanwhile, the United States was able to create debt it needed to pay for the federal government's deficit spending and establish the "petrodollar" system, in which global oil would sell for U.S. dollars. But the Saudis were sensitive about this deal becoming public, as it wouldn't go over well with its Arab neighbors. At the time, the Arab world was smarting from losing the Yom Kippur War to Israel, which had U.S. support. So the United States agreed to keep it secret and set up a system where Saudi Arabia could buy Treasuries "off window." That kept the transactions from showing up in the official auction totals. The United States further obliged the Saudis by declining to list the kingdom in its monthly reports on foreign ownership of U.S. debt. Instead, Saudi Arabia was anonymously lumped with 14 other "oil-exporter" nations (until last month, anyway). But the "off-window" transactions also allowed the Saudis to hide many of their purchases in offshore banks, disguised within the holdings of other countries. Because the U.S. dollar is a reserve currency used for global trade, nations tend to keep the majority of their foreign reserves in dollars, typically about two-thirds. But the reported $117 billion is only about 20% of Saudi Arabia's $587 billion in foreign reserves. Half that figure is about $293 billion. Two-thirds is $382 billion. Officially, Saudi Arabia is 13th on the list of nations that hold the most U.S. debt. But if the real figure is $293 billion or more, that jumps the kingdom up to third place behind China and Japan. Of course, even $382 billion is well short of the $750 billion amount cited in the Saudi threat to Congress. Many Americans may not realize that Saudi Arabia owns billions of dollars' worth of assets on American soil. For example, state-owned oil giant Saudi Aramco, through a joint venture with Royal Dutch Shell Plc. (NYSE ADR: RDS.A, RDS.B), owns a refinery in Port Arthur, Tex., and 26 related distribution terminals. Aramco has made many investments in U.S. businesses – and not just in energy. In April, Aramco invested $10 million in NanoMech, a tech company based in Springdale, Ark. And this month, the kingdom sunk $3.5 billion into ride-sharing giant Uber, one of Silicon Valley's latest sensations. But there is no comprehensive list of just exactly what the Saudis own in the United States. Which makes their threat that much more unnerving. A sudden Saudi move to dump U.S. assets is not only feasible, it would have ramifications far beyond a few weeks of market turmoil. "If the Saudis do it, others might do it as well," Francis E. Warnock, a professor at the University of Virginia and an expert on international economics, told The New York Times. "To me that's the bigger issue. If we're in a world where foreign governments think more carefully about holding U.S. assets, then we're in a very different world." The Bottom Line: Investors should not be quick to dismiss the threat by Saudi Arabia to sell off billions in U.S. assets if Congress passes a law to allow 9/11 victims to sue officials of the kingdom. Although such a move would cost Saudi Arabia as well, national pride and a desire to show its Arab neighbors it's willing to stand up to the United States would drive the king to make good on the threat. And the sale of billions of U.S. assets would disrupt markets and set a dangerous precedent other nations might follow.